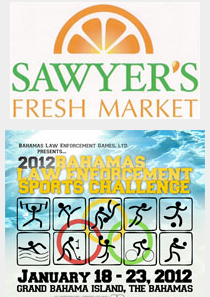 In addition to providing Sav a Lot Water and ice to the athletes at each of the more than twenty sports events, Sawyer's Fresh Market is Co-Sponsoring the Fun Run/Walk to be held on Thursday, January 19th which is open to the public and will kick off the weekend events. 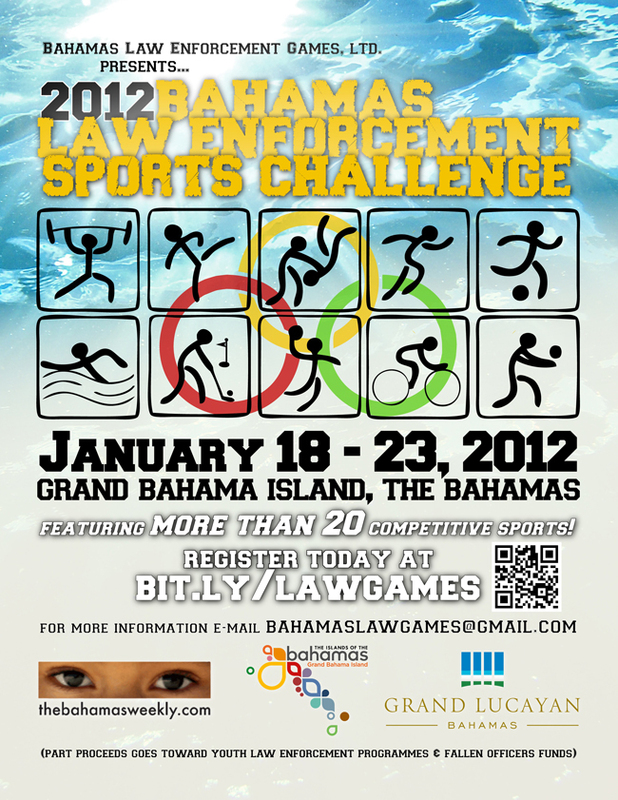 Being an Open-event, Athletes, their Guests and Families and members of their respective communities are invited to Register for the Pray/Run/Walk which will kick-off the Bahamas Law Enforcement Sports Challenge 2012 at 5am, Thursday, January 19th, 2011 at the circle at the entrance of the Grand Lucayan Hotel and Golf Resort. Port Lucaya Marketplace has offered to provide the Law Enforcement officers and their guests with a Bahamian Cultural Extravaganza on Friday night, January 20th at 9pm, with Fresh Conch Salad, Gully Wash, Limbo and a Junkanoo Rush Out. We will be providing for Ticket Sales.